Street Address: 18 Main St. Builder: Damon, Capt. Isaac et al. 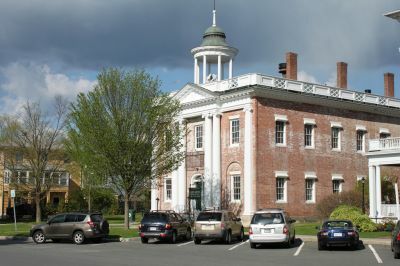 Lenox Library, Lenox, Massachusetts is a grade 3 historic property. The property embodies the distinctive characteristics of a type, period, or method of construction, or represents the work of a master, or possesses high artistic values, or represents a significant and distinguishable entity whose components may lack individual distinction.